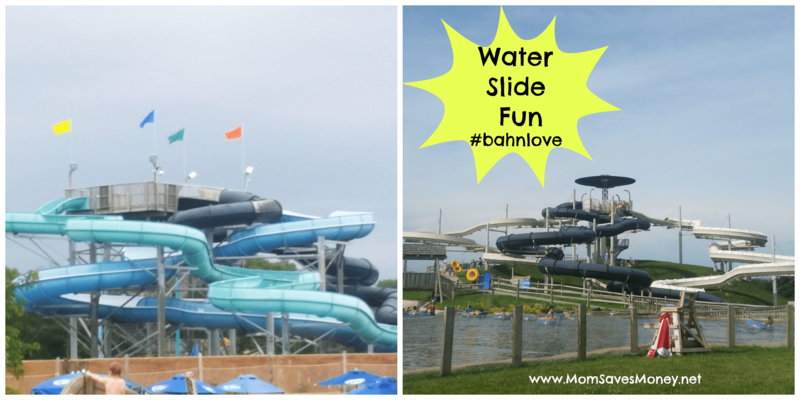 15 Reasons to Visit Schlitterbahn Water Park in Kansas City! Disclosure: Complimentary admission provided for this review. However, all opinions expressed are mine. My family took dad to Schlitterbahn in Kansas City for Father’s day and we had a blast. There were plenty of activities for all my kids, ages 4, 6 and 9 and we spent the entire day (8 hours) at the park and are looking forward to returning. We could have stayed until close, but since we were driving back to Omaha that day, we left in time to be home before 10pm. 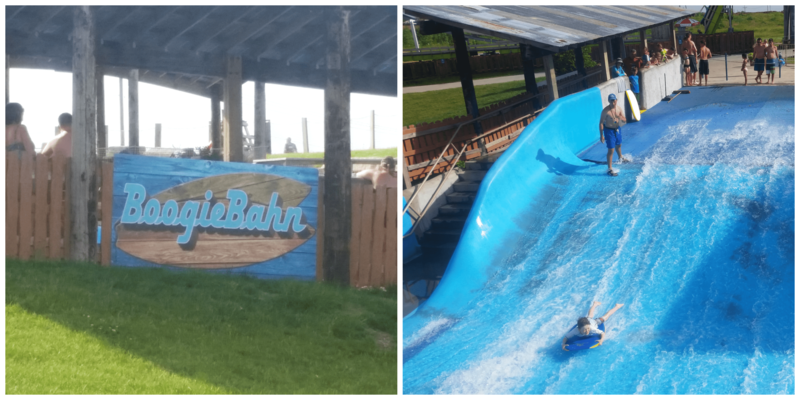 We had so much fun, I decided to list out all the reasons we loved our visit to Schlitterbahn! 1. Six fun water slides – Kids 42″ or taller can ride these unaccompanied! 2. 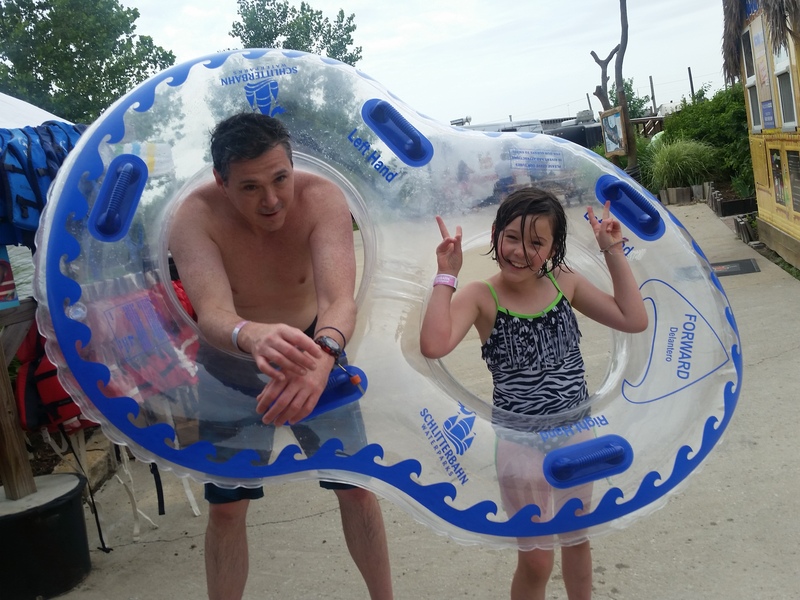 Family Fun – Schlitterbahn is fun for the whole family. From preschoolers to teens, every member of your family will find exciting water fun at the park. 3. 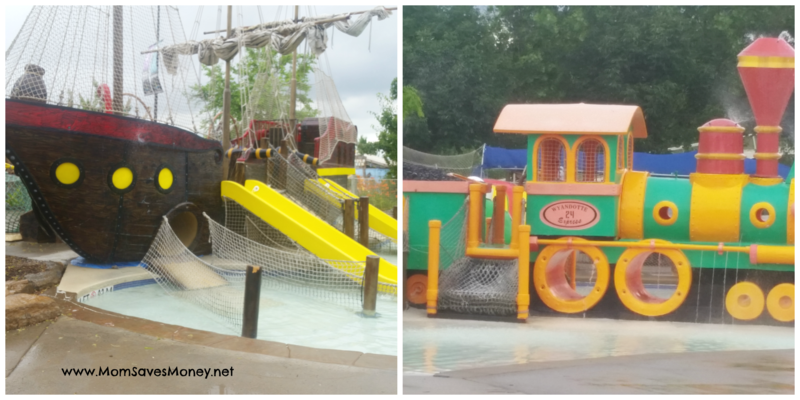 Kinder Haven & Pirate ships – Little kids can enjoy pools designed just for them with fun structures to play on and toddler sized water slides. Plus, there are lounge chairs right next to the water, so mom or dad can chill out while they watch the kids splash. I was impressed that they did have lifeguards stationed at both kid’s area for an extra safety precaution. 4. Lifejackets are free – It is evident that safety is a priority at Schlitterbahn. 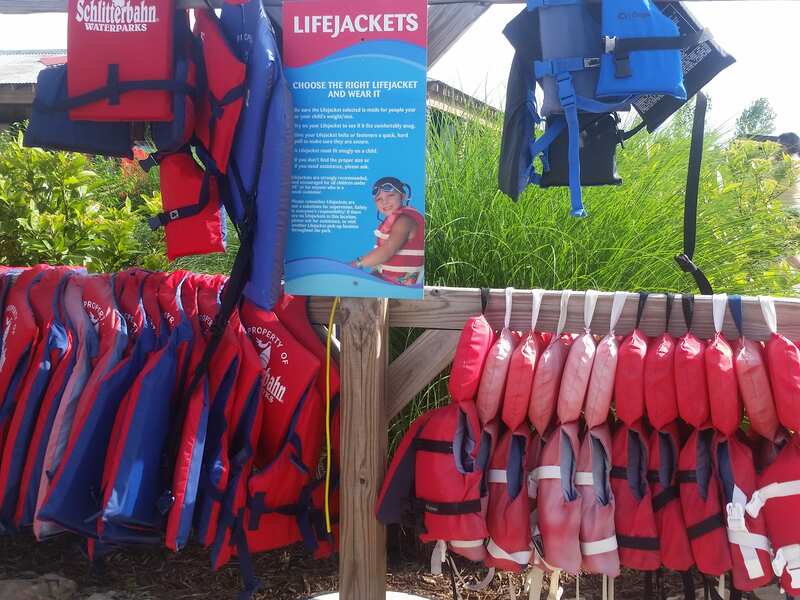 Not only are their lifeguards everywhere, there are free lifejackets for your kids to use while in the park. Just grab one at any of their lifejacket stations and keep your beginner and non-swimmer kids safe during your visit. 5. Bring your own food & drink – Bring your own cooler, except alcohol and glass bottles, and save a ton of money on refreshments. I love that I can pack my cooler with water and lunch and not worry about bringing a ton of extra money to feed the family. The do have refreshments for purchase if your kids eat more than you planned. Tip – Freeze 1/2 the water bottles you pack to use as ice packs and then have extra cold drinks towards the end of the day! 6. Souvenir program – Pay once for a souvenir Icee, soda or popcorn container and refill for free throughout the day! 7. The Lazy River – The Lazy River, featuring a Raging River, Torrent River, Kristal River and a slide, was my favorite part of the park! Just grab a tube and ride. Plus, you don’t even have to get out or walk any stairs for the slide. They have a conveyer belt that pulls you and the tube up to the top! Now, that’s truly lazy. I love it! 8. Rafts are free – They have an abundance of rafts to enjoy FREE of charge while in the park. They have single rafts, double, or even rafts for little kids. In some rafts, the rider portion has a seat instead of a hole. So, the kid (up to 50 lbs) can actually sit in the raft with a parent and not worry about falling through the hole. I have never seen this kind of double raft before but it was a lifesaver for me and my tired 4 year old. While the big kids and dad were still going down all the slides, my little one and I got lazy in the raft and rode. 9. 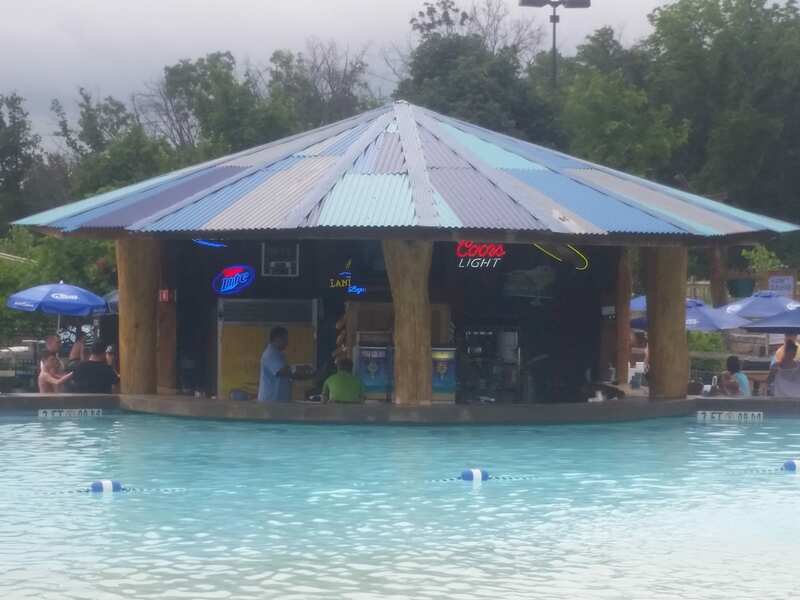 Swim up Bar for adults only – Schlitterbahn is not just for kids! Enjoy a roped off swim up bar area, just for adults 21+, and order a cocktail or two. 10. Special Events – Watch their calendar for special events. On Father’s Day, a local Hispanic radio station was hosting events and playing music all day. 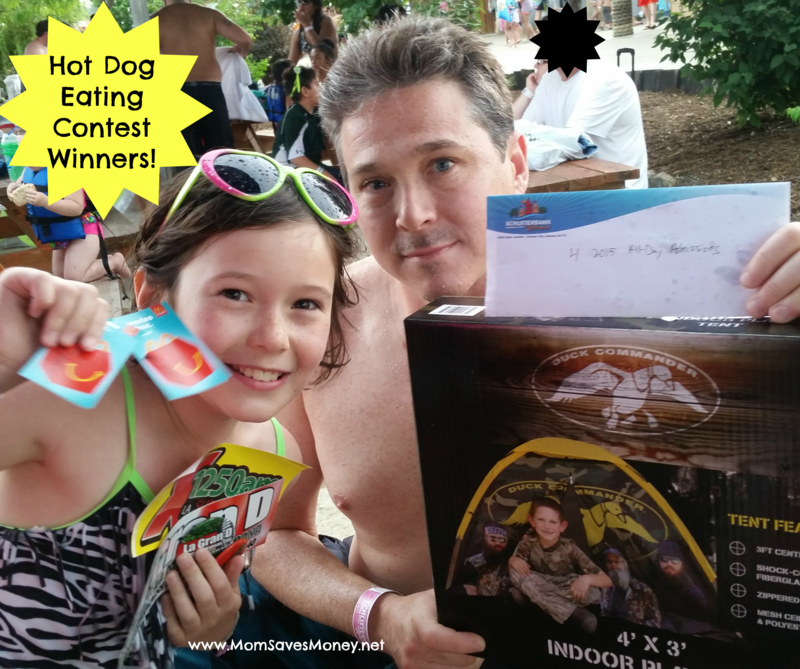 My husband and daughter entered a father/daughter hot dog eating contest and they WON! The prize was 4 free tickets to Schlitterbahn, 2 Happy Meals and a play tent. They also hosted a volleyball game with prizes. 11. Boogie Board – You can boogie board at Schlitterbahn. My husband and kids tried and said it’s much harder than it looks. 12. Load cash onto your wristband – No need to carry a wad of wet cash anymore! Simply load your wristband with money in increments of $5 when you get tickets. You can even add cash to your kid’s or teen’s bands for refreshments. 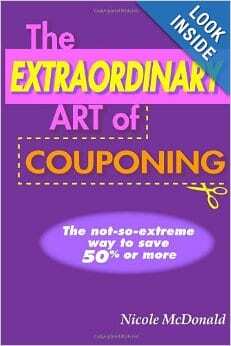 If you don’t use all the money, just stop by customer service on the way out and they will refund the money. 13. Zipline – This is the only activity that has an extra fee. $10 for one rider or $15 for two and get propelled way up in the sky and then zipline back down. 14. Free Parking – Another perk is that you don’t have to worry about paying extra for parking. This is free every day and the lot is huge. 15. 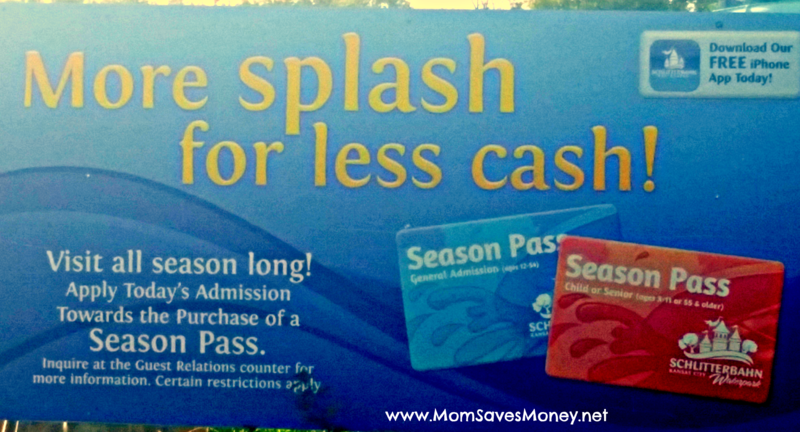 Consider a season pass – After you visit, if you decide to get a season pass, they will apply that day’s admission charges toward the purchase of your season pass! Are you excited to visited Schlitterbahn now? One lucky winner will receive two tickets to visit a Schlitterbahn park of their choice during the 2015 season! Enter using Rafflecopter form below. Giveaway ends July 1, 2015. I lov the wristband deal and not having to carry cash. For my little kids, I love the life jackets being free and lifeguards at the kids pool. I love that they load $ on the wristbands and that they have free rafts/life jackets. I did not know a lot about this park so was great to read this review. We are considering checking it out. Wow, I don’t know where to start! Free life jackets, add money to wrist bands, bring in your own food! This would be so fun to win! We have never been here but it looks awesome. Glad to hear about the rafts for younger kids. I can’t wait to win! It sounds so fun there! The lazy river looks amazing! I also love that there are fun, designated areas for younger kiddos. That means the ten year spread in my kids ages won’t matter! The loadable wristbands are so cool. It would be a big perk not to have to carry money. Thanks for the review! This looks so fun. I think my kids would really enjoy kinderhaven! This would be a great Anniversary gift for my husband! He wants to go sooooo bad!!! This would be a fun end of summer getaway! This sounds like so much fun! It would be a fun thing to do before the kiddos go back to school! I have never been! Thanks for all the information! Schlitterbahn looks like the perfect getaway for the summer with kids! Hard to pick just one! Love that you can bring your own food and that they have something fun for all ages! And I appreciate that things like life jackets and rafts are included in the price of admission so you don’t get hit with a bunch of extra fees once you’re there! Would absolutely love to win this for an amazing family vacation. The whole family loves adventure and water parks. Would make a great trip for hubbys first trip to KC! I would definitely try out the super tall water slide! This giveaway is awesome as we are planning to go at the end of July!!! I would love to take my kids there. They love the water. I can’t wait to try out the Bahnzai Pipeline Tube Slide. Looks fun. I love that parking is free, rafts are free, and tubes are free. And the cash/wristband system is great. I love that they’ll refund you any money from your wristband that you don’t use. How nice! Try Cabana next time. It will come with free locker and water cooler, and water bottles. Awesome! I world love to take my son and nephew on vacation… It’s been a while since we could do anything as a family. My family and I have been thinking about taking a trip out there but didn’t have much information on the park itself. Thank you for the list of reasons to visit, now we know for sure we want to go! The wristband is a great idea so you don’t have to carry money!! The Bahnzai Pipeline Tube Slide is one my list of things to do! Wow! This sounds like the perfect way to spend a summer day! How did I not even know it was in KC?? Thanks for all your fun tips! Can’t wait to visit! Looks like a great little get away for the end of the summer! It’s awsome that you can bring in your own food. Being able to bring in a cooler with food and drinks will be a lifesaver! I am so exited and amazed that they do not charge for parking and that you can bring your own food amd drinks to save money, but still have an amazing fun filled & reasonable day with family! We watched a show on tv about the making of the verrrucht water slide. How insane. I know my husband would try it. Oh I wanna go now!!! I would love to win these tickets so I could go on a vacation. My kids loved the wave pool. We went a few years ago and they beg us to go again. Just wish it were closer and not so expensive. I would love to try the verrueckt!!! My kids love water parks so this would be a great getaway before school starts back up again! Oh and the best part would be the lazy river! I would love to try the boogie board feature. I would love to try out the lazy river and love that the life jackets are free. 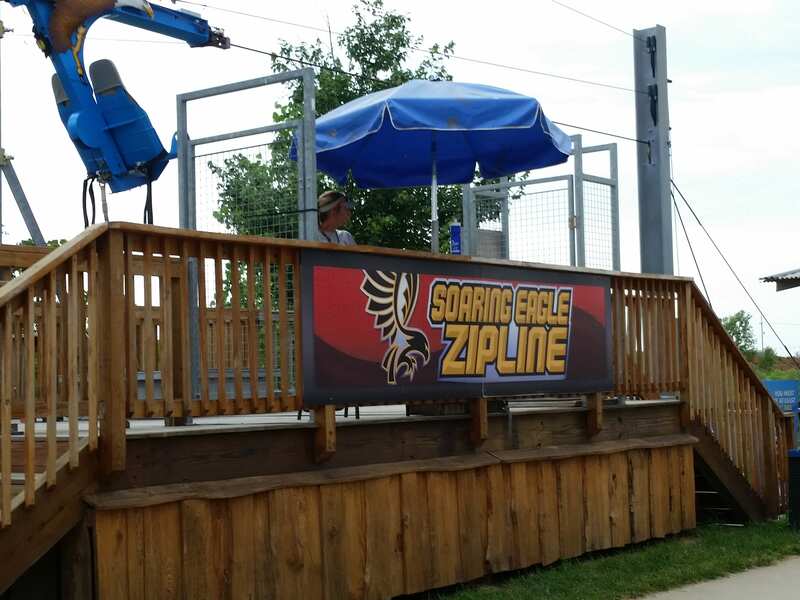 The Eagle zip line but honestly I want to do everything!! Nicole, did you or anyone from your family go on the tallest waterslide? I’m dying to know how it was! We did not since we had all the kids. Looked awesome though. it was fast! My husband and daughter are looking forward to their visit in July! I have been once and cant wait to go again, so much fun and relaxing at the same time. I would love to try the World’s Tallest Waterslide – Verruckt! I’d love to go and visit. The lazy river sounds great for my toddler and I. Bringing your own food and free life jackets! I really want to go down Vurukt! Man! I would love to win! It’ll be too late to bring the teen this summer, but next summer this is at the top of our list. I didn’t know that you could bring food and everything was free (lifejackets, rafts) until I talked to you. I hate being nickled and dimed! 😉 The Lazy River would be my favorite! Can’t wait to visit! We would love the slides. With 4 littles in tow, I love the free life jackets! I would love to visit. It looks like so much fun!! I would love to check this place out! I have not visited the KC park, the I have been to the one in New Braunfells TX. It was amazing. Can’t wait to visit! i am exited to take my family there. Oh what a fun time we would have. I would love to take our family! I would love to check out that slide!! I went here when it first opened. Would love to go back now that they have added so much. The boogie board looks like so much fun! Looks like fun!Bahnzai Pipeline Tube Slide looks like fun. We have never been there but it is one place we want to visit. The wristband to load money onto sounds great. Would love to take hubby to KC for his first trip there. We have never been busy it sounds amazing! The family could use a vacation. I go to Kansas City at least once a month and we have yet to go to Shlitterbahn! I’m dying to try out that lazy river- but I will stay far away from the GIANT waterslide. I would love to try the tallest water slide! We have never been but it all looks like amazing fun! Never been to Schlitterban, but I’m sure my kiddos would love it!! That Pipeline water slide look awesome! Love that you don’t have to pay extra for tubes in the park, and that you can bring in your own food. Fun! I would love to take my family to Schlitterbahn! My husband is just crazy enough to ride the tallest water slide too. We haven’t been since the first year they opened! Looks like so much has changed! Would love for my family to go! My kiddos love to swim and the wrist band is a fantastic idea! Hate having to go to my locker everytime we need a drink or want a snack! My swimsuit does not have pockets! My kiddos love to swim and I love the idea of wrist bands! Love that you can bring your own food! Big money saver for my family!